So here you are. You’ve seen the inspiring videos and posts online and are feeling empowered but don’t know where to start, right? It’s not like you can personally pick up every single piece of trash, because you would! We know… we feel the same. Each Earth Day receives a unique mission, and this year we’re focusing on plastic waste. That’s why we’ve put together a little list of the best baby steps you can take to make a big difference. Recycle is the Marsha Brady of the three ‘R’ tips. All we hear about is recycle, recycle, recycle. But, sorry Marsha, recycling is the least important and last step of this trio and should only be a final phase things that pass through first two steps. While recycling is better than not recycling, we need to move beyond the idea that recycling is enough. It’s not. The most important is the first: REDUCE. Now we know we can’t all transform our lives drastically overnight and remove all waste, but being aware and doing our best is a big step. Only after you’ve worked hard to reduce your use, then move on to step two: REUSE. Were you trapped in a corner and had to buy a single-use item? Don’t give up on it but instead, give it another shot to be useful. Can it be a planter? An organizer? A dog toy? A vase? Get creative and think outside the plastic box. Finally, after that item has been good n’ loved in a variety of ways, toss it in the recycle bin and let its body be donated to science! (Or, some hipster’s ugly purse creation.) Either way. Recycling is the last step. The seven steps you can take right now to SAVE THE WORLD! 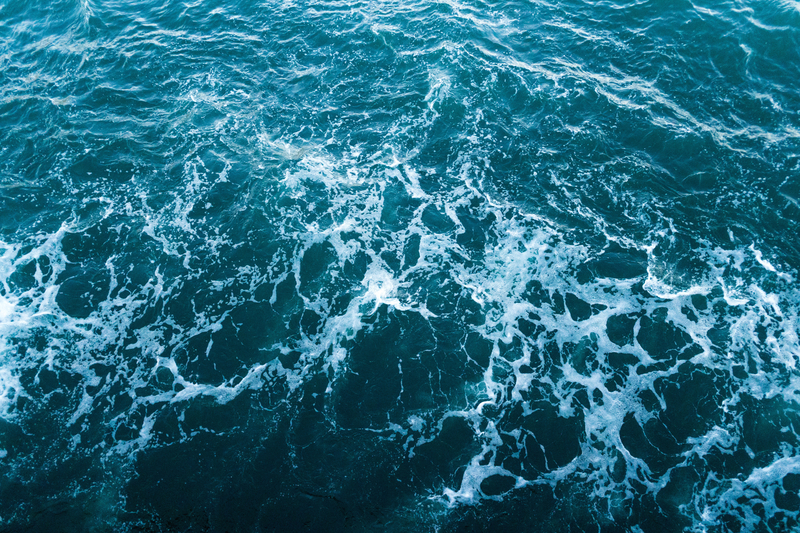 The average person uses 167 plastic water bottles per year! You’ve probably seen S’well bottles all over town, which is great! According to S’well they’ve donated $800,000 since 2015 to help provide clean and safe water to the world’s most vulnerable communities. In 2018, S’well is focused on Madagascar – a country where 50% of the population lacks clean water access, building infrastructure, educating families on water-borne diseases, and promoting national reform. 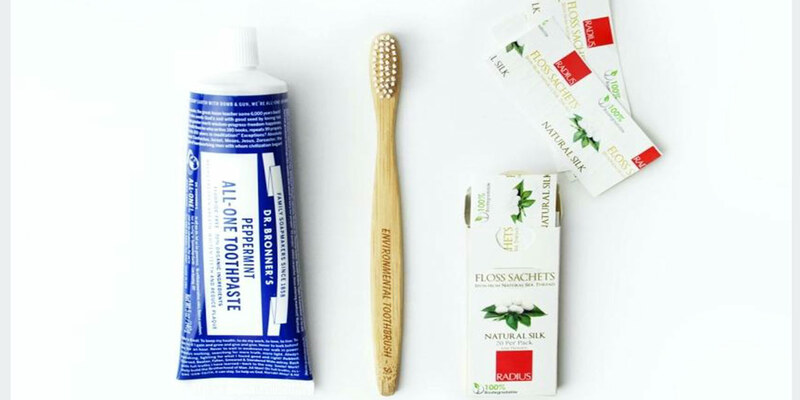 Swap your toothbrush and floss for eco friendly bamboo, glass, and silk products! Okay, we don’t go through many toothbrushes each year (only 4-6 for the average American) but it’s still unnecessary waste! Bamboo toothbrushes work just as well, and they biodegrade back in to the Earth! Floss, on the other hand, is really important to replace with a biodegradable option. The small thin plastic of commercial floss, not to mention the package in comes in, is very rarely recycled. So, while recycling your floss is not an option (seriously, don’t do it… that’s gross) what we can do is switch to an earth-friendlier floss variety. You probably wont find these in your neighborhood pharmacy, but both Tom’s of Maine and Eco-Dent have nicer eco-friendly varieties. Tom’s, using bees wax and Eco-Dent a vegan rice wax. Meanwhile, Radius has an all-silk variety that decomposes completely in 90 days. 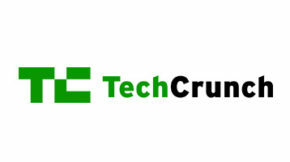 If you’re a GrubMarket customer, you don’t have to worry about this one, you’re covered! 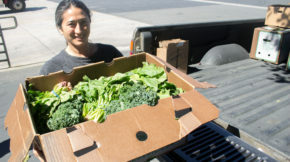 All our grocery bags are reusable! 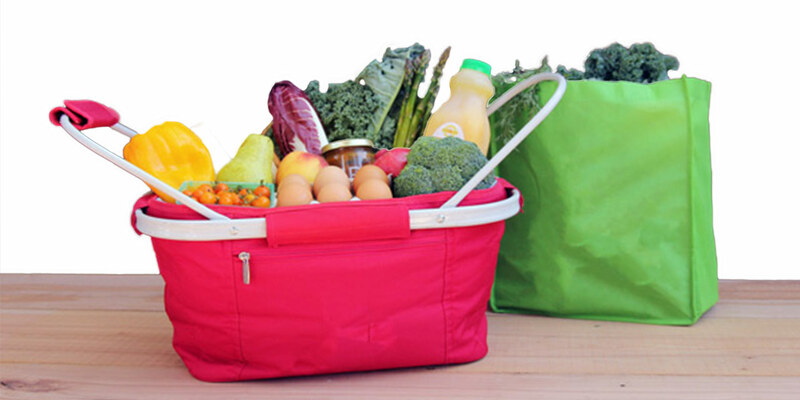 Together we save over 70,000 single-use bags from landfills and oceans each year! Over the last 10 years, the simple increase in reusable grocery bags across the state has had a massive impact on our total waste. So keep it up! 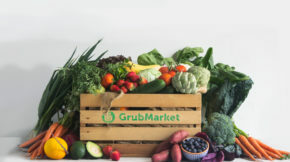 GrubMarket makes it easy to shop waste-free, but even shopping for non-grocery items, make sure you bring those bags along! We know this one is tricky, but it is so important. 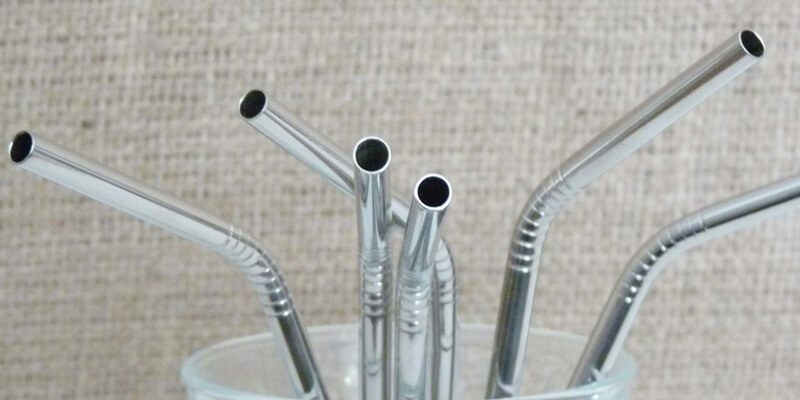 Cutting down on single-use straws is a huge help to the environment. They may seem small and harmless, but when you add it all up, humans use over 500,000,000 every single day. If you lined them up end to end, they would wrap around planet earth four times. Every. Single. Day. These are not life-saving, world-changing products. They’re just straws. All they do is help get liquid from a cup to your mouth instead of sipping on a glass. So, in the end they’re pretty unnecessary, especially when you consider how much damage they are doing to our eco-system. If we started to use metal straws and reusable cups exclusively, we would be saving a straw mountain the size of Everest each year. Ladies, we need to talk. Menstruation may be totally natural, but the products we’ve been sold for the last 50 years, just aren’t! Full of surfactants, adhesives, additives, dioxin (a known carcinogen) and the synthetic fiber rayon, it’s time to kick ’em to the curb. We definitely don’t want these polluting our environment and groundwater, let alone our bodies. That’s why many women over the last few years have made the switch to ‘the diva cup’. It may take a little adjusting (literally) at first, but you’ll never go back. 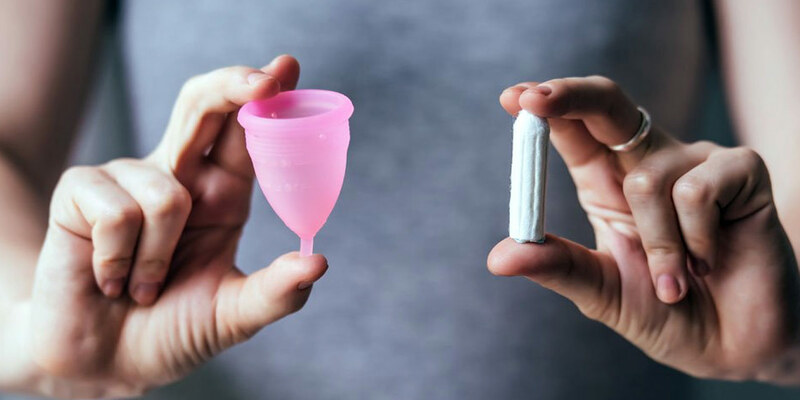 Plus, seeing as the average woman spends $200-$300 a year on period products, we’re guessing spending $40-$80 a year is a big improvement. 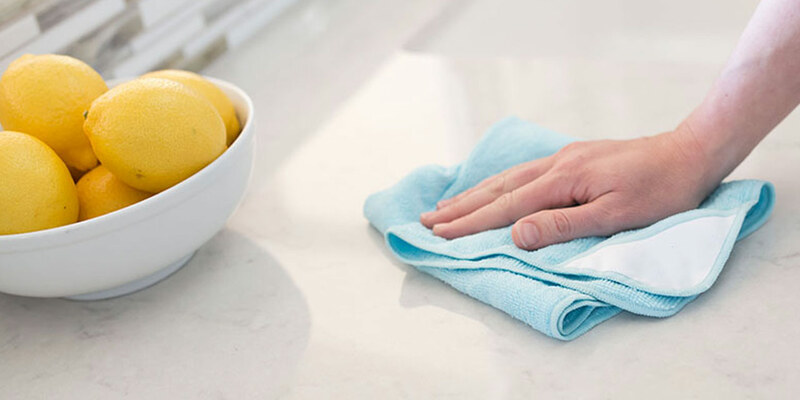 Use cloth towels and napkins instead of paper towels. It’s time to go back to the good old days. The convenience of disposable has been outweighed by the huge cost to our wallet and planet! The typical American family goes through rolls and rolls of towels every month. Sure, cloth towels are an initial investment (about 12 rolls of paper towel) but, the paper towels will run out soon, where the cloth towels will last you years. Then there’s the whole issue of our planet. Trees are not recyclable, not without our help. It is important to remember when you buy paper products that they are made at the expense of our forests and trees. Using cloth towels goes a long way towards clean air! Switch to reusable coffee cups! We know it’s a tad inconvenient and requires a minute or two of planning, but making the switch for your morning coffee really adds up. Not only is it saving trees and mountains and mountains of plastic and paper trash, but honestly… it’s a better coffee experience. 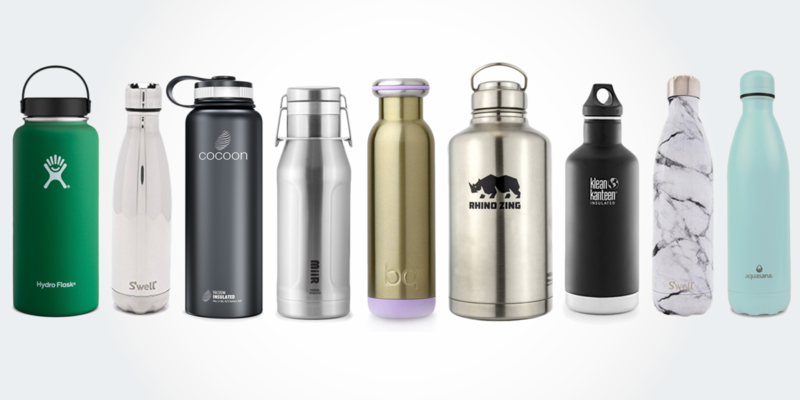 Unlike the cheap paper cups at your favorite coffee joint that require a paper shield to keep your hands from burning, and another bit of plastic to keep it from spilling all over your car, many of these reusable coffee cup companies keep coffee lovers in mind with portability and ‘hold-ability’. 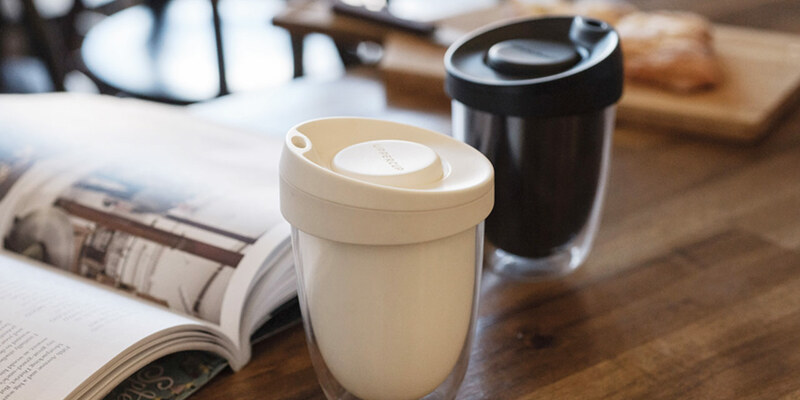 Plus with their design from insulation to materials, they’re meant to keep your coffee warmer longer, in a safe way that won’t slowly bleed chemicals into your drink! Those are our top 7 tips! Comment below with what you’re already doing and what you plan to start today.